APPLICATIONS FOR THE 1916 BURSARY FUND FOR 2018/19 ARE NOW OPEN. THE DEADLINE FOR RECEIPT OF COMPLETED APPLICATIONS IS MONDAY, 11TH FEBRUARY 2019 AT 12 NOON. FOR DETAILS ON HOW TO APPLY PLEASE SEE BELOW. The bursary is only open to first time entrants who are currently registered and attending in year 1 of an approved undergraduate course here in IT Tralee. Please note: Students repeating Year 1 of their undergraduate programme will only be considered in cases where evidence is supplied that a significant life event was the reason for poor performance in the last academic year. Examples of such life events include major ill health which was certified at the time, pregnancy, bereavement in the immediate family. 1. What is the 1916 Bursary Fund? The 1916 Bursary Fund was announced by the Minister for Education and Skills. The purpose of this funding is to encourage participation and success by students from sections of society that are significantly under-represented in higher education due to socio-economic disadvantage. The South Cluster of Higher Education Institutions has been awarded 35 bursaries in total. Up to seven bursaries will be made available for ITT students. The bursaries are to the amount of €5,000 for each year of an undergraduate programme. 2. Am I eligible to apply for the 1916 Bursary Fund? Permission to remain as a dependent child of a person who has acquired Irish Citizenship by naturalisation, residing in the state. For further clarification, please see section 14 of the Student Support Act 2011 and regulation 5 of the Student Support Regulations 2018, SI 125 of 2018. 3. Who cannot apply for the 1916 Bursary Fund? Students who have not lived in the state for 3 of the last 5 years. 4. How will applications be prioritised? As it is expected that the number of applications will exceed the number of bursaries available, IT Tralee will prioritise those who can provide evidence of membership of more than one of the categories listed and will give due regard to ensuring that the benefit of the bursaries is maximised. Applicants must clearly demonstrate the significance and impact of the socio-economic disadvantage and barriers experienced. 5. What is the value of the 1916 Bursary? 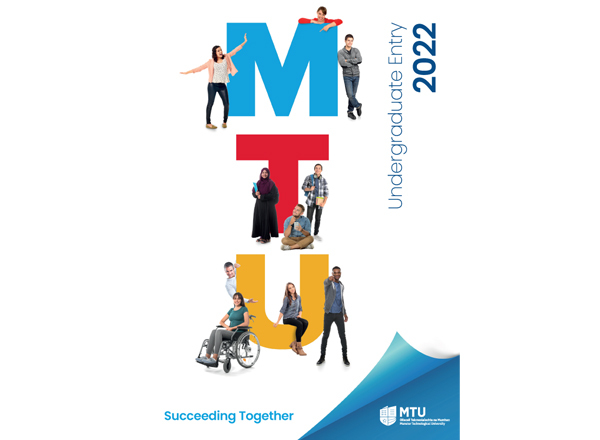 Successful applicants will be awarded €5,000 for each year of their undergraduate programme up to a maximum of €20,00 for full time students and a maximum of €30,00 for part time students. 6. Can I appeal the outcome of my application if I am unsuccessful? All applicants regardless of the target group were required to provide evidence that they are socio-economically disadvantaged and are in receipt of the highest level of SUSI grant (special rate) and/or are in receipt of a DSP means-tested social welfare payment. Prioritisation was also given to applicants who provided evidence of membership of more than one of the target groups outlined below, and clearly demonstrated the significance and impact of the socio-economic disadvantage and barriers experienced. Any unsolicited correspondence from a third party (e.g. politician, clergy, academic staff) that attempts to canvass on behalf of the applicant will not be taken into account. The Appeal Process closes Wednesday, 27th March 2019 at 12 Noon. No late appeals will be accepted. 7. If I receive the 1916 Bursary will my SUSI grant or Department of Social Protection social welfare payment be affected? Successful applicants will be entitled to hold the 1916 Bursary and the SUSI grant simultaneously. The 1916 Bursary is not included in the calculation of “reckonable income” in the SUSI grant scheme. The bursary will have no impact on the recipients DSP social welfare payment and will not affect a student’s Back to Education entitlement. The bursary will be an income disregard for the purposes of means tested social welfare payments. Therefore, successful applicants will receive the 1916 Bursary payment in addition to the income supports they are already receiving. 8. How do I apply for the 1916 Bursary? Students can apply by completing the 1916 Bursary online application form. The deadline for receipt of completed online applications is Monday, 11th February 2019 at 12noon. No late applications will be accepted. Please Note: It may take some time to collect the necessary supporting documentation so students are advised to begin their applications early. It is important that students upload all the necessary supporting documentation in order to be considered. 9. What supporting documents will I need as part of my 1916 Bursary application? The supporting documentation that applicants will need to include as part of their application will vary from one applicant to the next. The following is a checklist of supporting documents required for each section of the application form. It is important that applicants include all relevant supporting documentation to support their application. Applicants in receipt of the higher rate of SUSI grant: A letter from SUSI stating you have been awarded the special rate grant. Applicants can give consent to IT Tralee’s Access & Disability Services confirming their registration with the institutes disability services. Lone Parent A letter from the DSP confirming the applicant is currently in receipt of a means tested social welfare payment. Persons from Ethnic minorities (as outlined) Evidence of official documentation of the applicants status, as per the Department of Justice & Equality. Irish Traveller A letter from a Traveller Advocacy Group confirming status i.e. Pavee Point/ITM/Local Traveller Support Group. Applicants who are connected to a community/advocacy group or other outside agency can upload a formal reference from a relevant employee. Note: If you have been actively engaged with a community support service e.g. Kerry Travellers Health & Community Development Project, your local Family Resource Centre, Disability Advocacy group, Social Worker etc. you are encouraged to ask them for a letter of support and include it in your application. 10. Who do I contact if I have questions about the 1916 Bursary? Alternatively you can call 066 71 45636 or Ext: 5636 (on the red phones located throughout North and South Campus).